Climate change caused by burning fossil fuels and escalating fossil fuel prices make the further rapid development of renewable energy sources a global imperative. Energy provided by wind power, though no panacea, has the potential to make a substantial contribution to meeting electricity needs in many countries. This concise and accessible account of the history and future development of wind power technology offers a complete overview of this vital field for engineers, scientists, students and all readers interested in wind power. 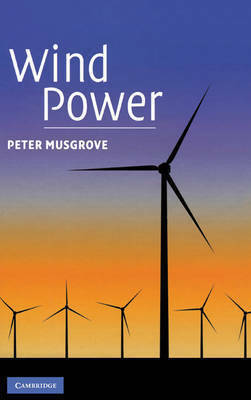 Requiring no prior technical knowledge, this book provides a global historical assessment of wind power use, encapsulating sequential experimental changes, and concluding with narration of wind deployment, and an assessment of future options. Wind power is shown as compatible with large scale use: a clean, competitive and abundant energy source to help meet our future needs. 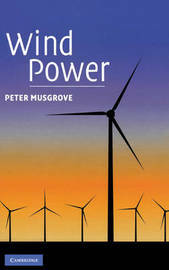 Peter Musgrove's wind power interests go back to 1974 when he was teaching engineering at Reading University. Though wind power was then the UK's least favoured renewable energy option he strongly argued the case for large offshore wind farms and gained recognition for their potential. He was also very much involved in the UK vertical axis wind turbine programme through the 1970s and 1980s. He was one of the prime movers in the 1978 formation of the British Wind Energy Association (BWEA) and was its first Chairman. He left academia for industry in 1988 and as National Wind Power's Head of Development through the 1990s was involved in all aspects of wind farm development and wind turbine assessment. He retired in 2003 and was given the BWEA's first Lifetime Achievement Award.